Even though there are many kinds of leashes available in the market for your dog, it is important to choose the correct one for your dog. A retractable leash is always a good choice for it provides more freedom and flexibility to both you and your dog while you are out on a walk together. 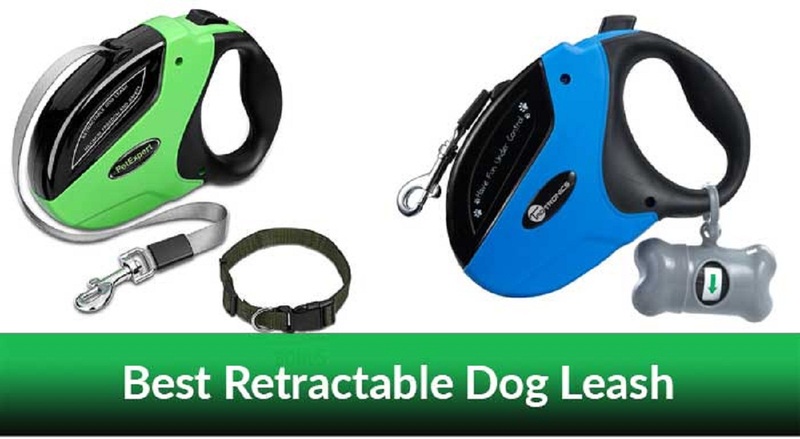 This leash comes with a cord that is attached to the leash such that the snap loops up inside a hand-held reel - allowing the owner to adjust the distance of the dog while walking. If you want to bring with you your dog while you are walking at the streets or while you are at the park then these retractable dog leashes are good for you. In this way, you can allow your dogs to walk but still, you are in control of them. This leash is an incredible invention and what started as a simple convenience for dog owners has now become a highly effective, highly desired dog leash for any size or any breed. Because this type of leash is adjustable therefore you can adjust it to the size of your dog. You can let them go wherever they want and you can also adjust it so that they won't go that far. From the name itself it is retractable thus you will be able to draw it back if your dog went to a place where you don't want them to be on it. For instance, maybe your dog went that far and you want the dog to come near you and so you don't have to shout out or go towards the dog because all you have to do is to draw back the leash. The retractable leashes come in different lengths and are also available therefore you can choose which one you want. There are leashes that come in fixed length and so you better choose the right one but there are also leashes that have an adjustable length and this is better than the other. Since it is adjustable thus it is flexible and so the price also is much higher but still it is in demand because it can be adjusted. The leash also comes in different types of materials - cotton, nylon, or leather. Each has their set of pluses and drawbacks. Cotton and nylon leashes can be washed and cleaned, but leather leashes give a more stylish look. In addition, another important factor for a retractable leash is the length of the cord that is attached to the leash which can be anything between 10 feet to 26 feet. The ingenuous leash comes with a holder that can contain a roll of biodegradable bags in it. This enables the dog owner to keep the dog potty clean-up bags on the leash itself, thus making it possible to remove the potty of the dog immediately, as the trash bags are always at hand. Finally, retractable leash also comes with several add-ons that can make walking your furry friend fun and easy. One of the most useful is a retractable leash flashlight that can be attached to any retractable leash, allowing you to view the path ahead when you are walking the dog at night. A retractable leash saddlebag is also available. Click the links for more information, and to buy the best retractable dog leash.